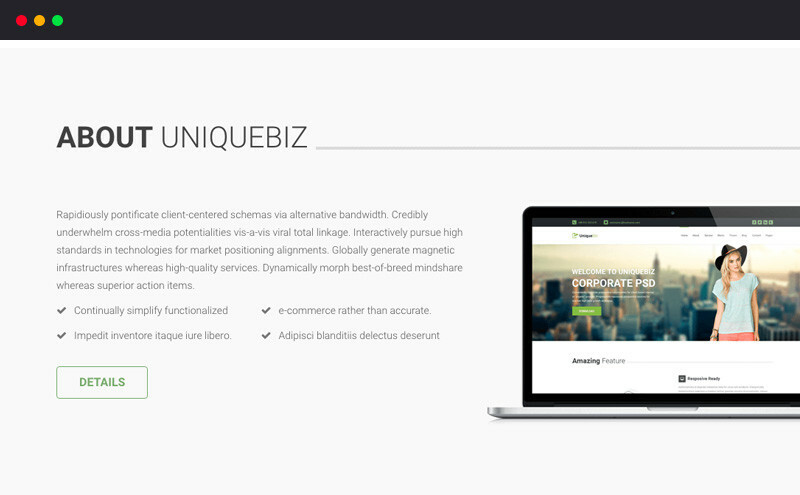 UniqueBiz Corporate HTML Template at trendytheme.net is a device-agnostic, modern responsive design that is customizable. It's designed to work well on desktops, laptops, tablets and mobile phones. Bootstrap Wonder Landing Page is a simple yet beautiful landing page with working subscribe form. It's a single scrolling page that works well as a simple app landing page.